Fascias, Soffits and Guttering available from Window Installation Services. Roofline products are an essential part of home improvements and protection. Strategically placed roofline products, like guttering and fascias, can prevent your house becoming damaged by the rain and cold. 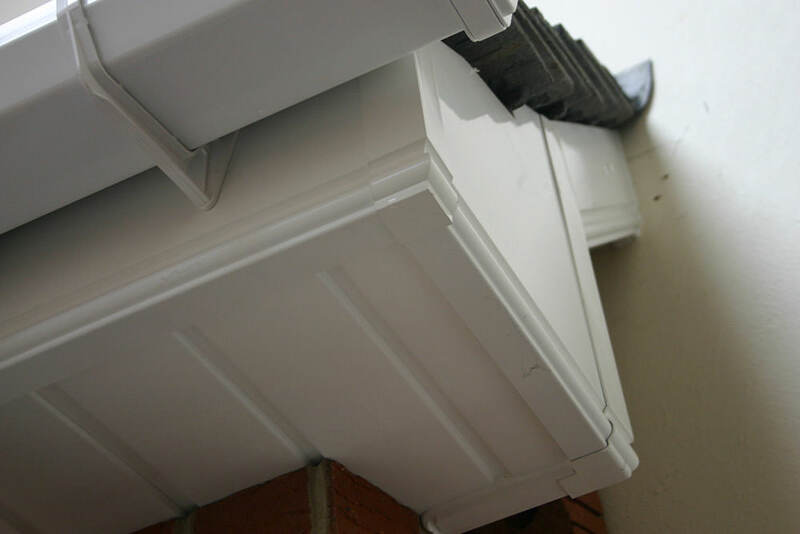 Window Installation Services offer excellent roofline products that are built to last.Our fitters are experts in the installation of fascias, soffits and guttering and can find a solution for most properties no matter how large or small. Window Installation Services offer our supply and fit service for roofline products throughout Milton Keynes, Leighton Buzzard, Buckingham, Dunstable, Bedford, Northampton and Buckinghamshire. Our team are prepared to travel outside of these areas for certain projects. If you would like to find out if we work in your area, please do not hesitate to contact us. 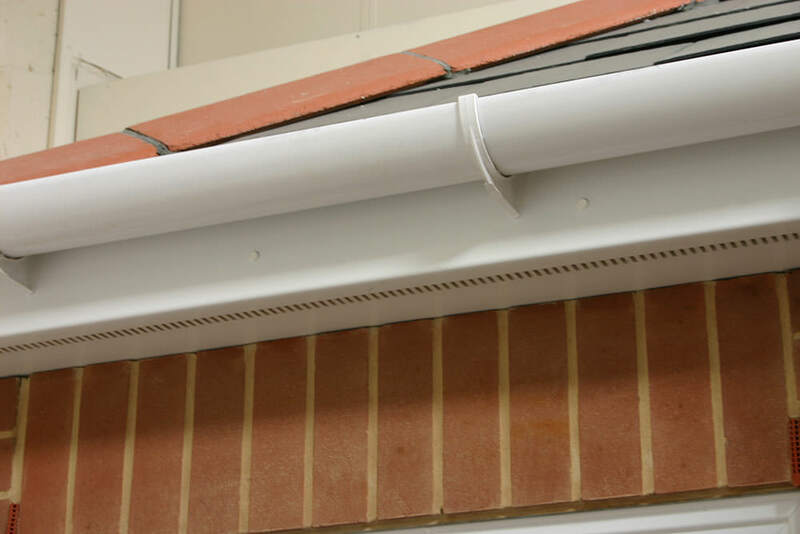 We supply and fit a range of quality home roofline products, designed to protect your Milton Keynes home against damaging and corrosive weather conditions. Although sometimes overlooked and disregarded, roofline products act as crucial home protection. Essential for the somewhat unpredictable British Weather Please find a list below for a brief description of roofline products available. Fascias protect your roof rafters from water ingress and condensation. If left unprotected, your roof rafters can quickly become damaged, start to mould and inevitably weaken. Needless to say, that advanced roof repair work can be very expensive and take over a week to complete. Soffits help give your home a professional, clean and sleek appearance. Cleverly concealing the gap between the fascias and the side of your Milton Keynes property. Available in a huge range of colours and finishes. Guttering helps to guide unwanted rain water into the main drainage systems. Our guttering is installed to help decrease the chance of blockage, helping remove waste water from your roof as quickly as possible. 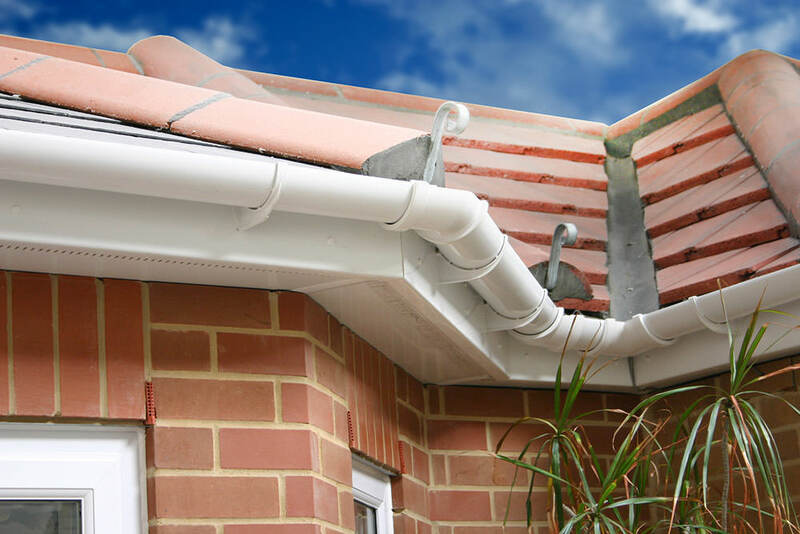 Our guttering systems are designed to prevent water stagnation and blockage. Saving you the task of removing built up dirt and leaves. If you require a roofline installation then please contact us for a free quotation. You can make an enquiry online and we will get back to you, or alternatively call us on 01908 366621 and a member of our experienced team will be happy to help you. Alternatively, please pop in and see us at our showroom where we will be able to provide you with a free consultation.